Measurement shall be carried out under the personal supervision of the Championship Chief Measurer who shall be the Class International Measurer or his nominated deputy. Only the ICA shall be empowered to nominate a deputy to be the Championship Chief Measurer. The Organising Authority shall pay the costs of the Championship Chief Measurer in attending the Championship and of outward and return shipment of his templates and any other equipment. The Organising Authority shall carry out such measurement as is directed by the International Measurer. As a minimum, all sails and spars shall be checked and all boats shall be weighed. 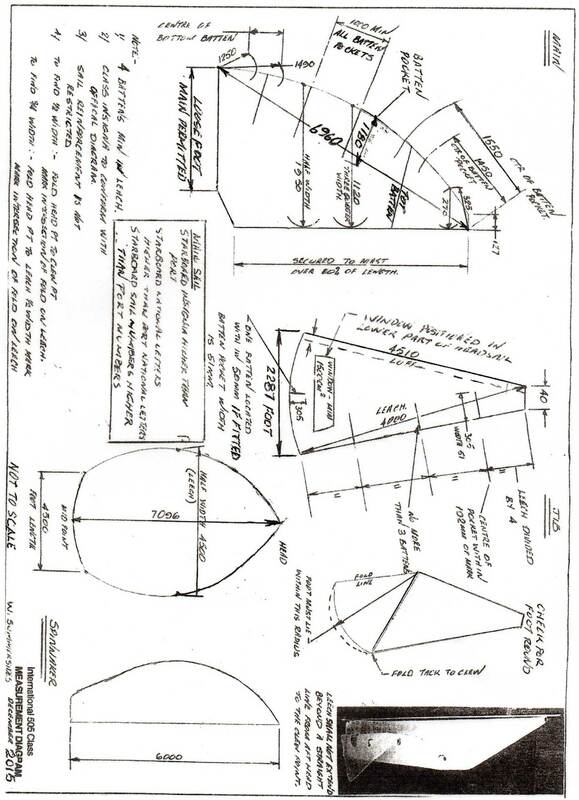 The Notice of Race and the Sailing Instructions shall specify that no more than two suits of sails, one set of spars, one centreboard and one rudder may be presented for measurement. The Race Committee may direct further measurement or restrictions subject to the agreement of the IEC. ALL competitors must present their boat and equipment to the measurement tent during the times stipulated in the Sailing Instructions to check the sailing weight complies with the Class Rules. MAST, BOOM, SPINAKER POLES, RUDDER, AND CENTREBOARD. Competitors will be provided with 6 regatta stickers which they must put on equipment they plan to use for the regatta as follows. Competitors may only race in the World Championship with the equipment that has the regatta sticker. 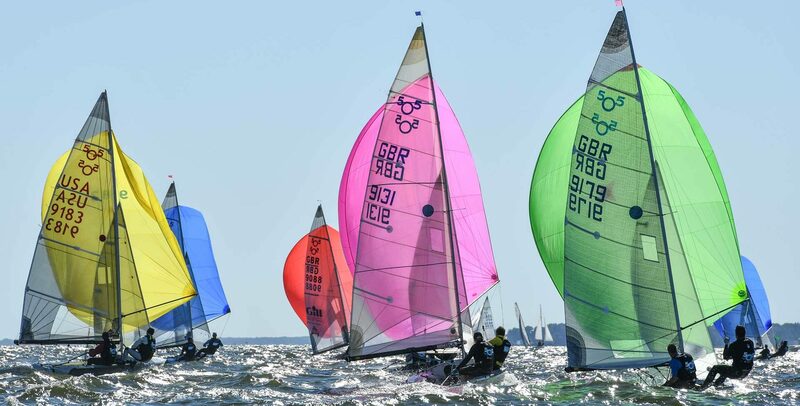 By placing the Regatta sticker on an item of equipment or having a sail stamped, competitors are confirming that item of equipment complies with the Class Rules. An approved personal flotation device (to the National Standard or equivalent International Standard) for each crew member and to be worn at all times while afloat. A boat or its equipment may be inspected at any time for compliance with the Class Rules, NOR and Sailing Instructions. Boats finishing in predetermined positions in the FIRST race of the day may be selected for measurement checks when they return to the boat park. These finishing positions and the items to be checked will be selected in advance by the Jury. Boats, or equipment found not to comply with Class Rules, the NOR or the SIs may be penalised or disqualified from the most recent race. Consequences of a boat or item of equipment found not to comply in a Spot Check. If a measurement is found to be wrong, it will be referred to the Technical Committee. Where the quantum of the measurement is small and deemed to be non-material, the Competitor will be required to fix the item in question before the next race and there will be no penalty. Where a required Band of contrasting colour is found to be missing or in the wrong place the Competitor will be required to fix the Band in question before the next race and there will be no penalty. If that Competitor is subsequently found to have that or any other Band wrong (a second offence), the Technical Committee will Protest that boat for a breach of the Class Rules. The Penalty if the Jury find there is a breach of the Rules will be a DSQ in the most recent race. If an item of Safety Equipment is found to not have been on board during the day’s racing, the Technical Committee will Protest that boat for a breach of the SIs. The Penalty if the Jury find there is a breach of SI (or NOR) will be a 5 point scoring penalty for a first offence and a DSQ in the most recent race for a subsequent offence. Where a sail used racing is found not to have a Regatta Stamp or a piece of equipment is found not to have the Regatta Sticker, the Technical Committee will Protest that boat for a breach of Class Rules. The Penalty if the Jury find there is a breach of Class Rules will be a disqualification from the last race sailed. The Technical Committee will be appointed by the International Class Association. Prior to the start of each day of racing, the jury will pick 6 finishing positions randomly from a hat for that day. This will include 3 from the top 20 finishes, and 3 from the remaining finishes. These positions will only be known by the jury. Before the start of the first day of racing the Jury will also randomly allocate one of the following 5 measurements to be checked that day. After the completion of the first race of the day the Race Committee will notify the Jury which boats finished the first race in the preselected positions. One of the Jury boats will come back to the launching area before the first boats arrive after the last race of the day. As the boats are coming back to the launching area the jury boat will locate the selected boats and notify them they have to go to the special area selected for spot checking. Another member of the jury will be on shore ensuring these boats are retained at the measuring area and supervise the boats until the measurement checks preselected by them for that day can be carried out. Sailors can take sails down, shower and change but the jury member will ensure boats are not removed from the area or touched in anyway until the spot checks can be carried out. The Organsiing Committee in conjunction with the Chief Measurer must arrange for a competent measurer each day to supervise spot checks. Where a regatta measurer is available who isn’t sailing, this person would normally carry out this task each day. Where all measurers are sailing it is recommended that a different measurer is available each day so the same person is not inconvenienced more than on one day. The selected boats will have the item/s measured that correspond to that day. Masts, booms, poles and foils will also be checked to confirm they have stickers on, black bands on masts and booms and all 3 sails will be checked for the regatta stamp. Safety equipment will also be checked. If there is evidence of outright cheating the Competitor will be penalised with a disqualification. However the intention is not to penalize people for small immaterial mistakes. 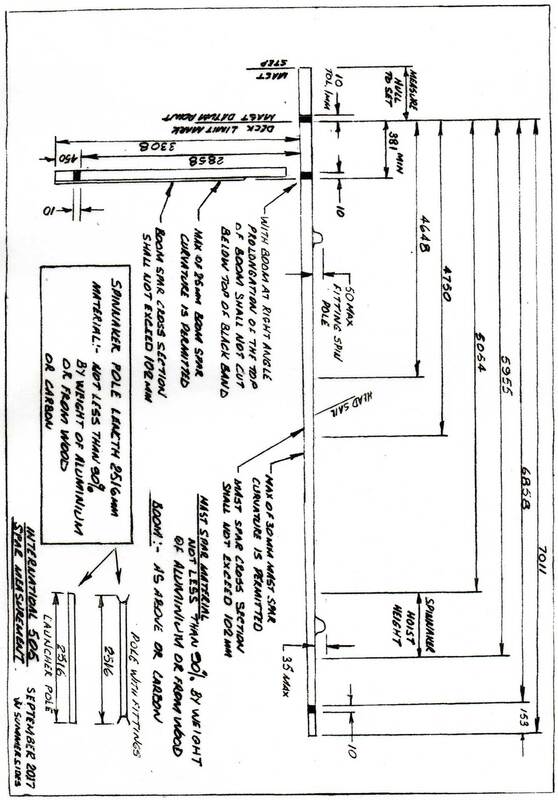 If a measurement is found to be wrong, it will be referred to the Technical Committee. Where the quantum of the measurement is small and deemed to be non-material, the Competitor may be required to fix the item in question before the next race and there will be no penalty. Rig, sail and hull measurement will be voluntary. However spot checks will be carried out after racing each day. All competitors still need to be provided with the usual measurement form and have the right to have the measurers check and sign off on any or all items on the list. Weighing remains compulsory. Weighing must be done where there is no movement from wind stopping inaccurate measurement. Be thoroughly checked to ensure the boat is dry. No water in tanks and no dripping ropes. A mirror and torch should be used to check all 3 tanks. 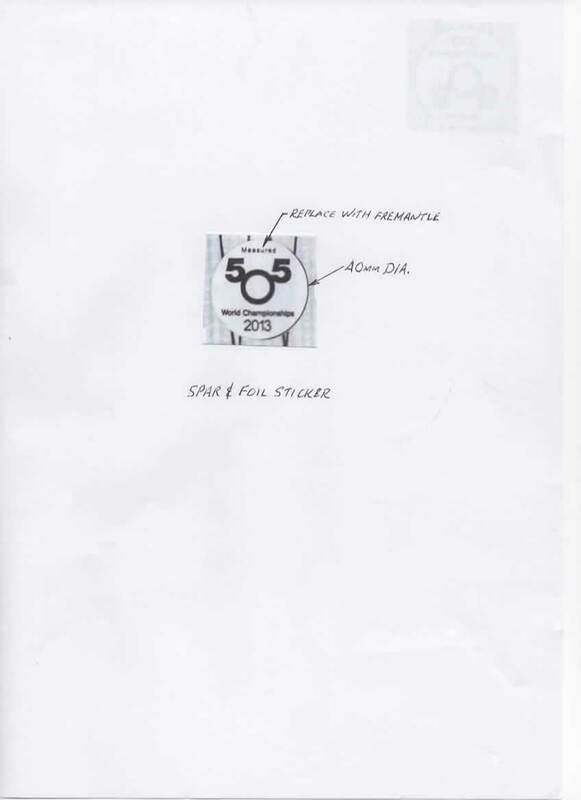 All Sails that competitors plan to use in the Worlds will still need to be stamped by the Regatta Measurer or his nominee with the official Freo stamp. Having a previous World stamp does not count. All Competitors will need to present up to two sets of sails to be stamped. 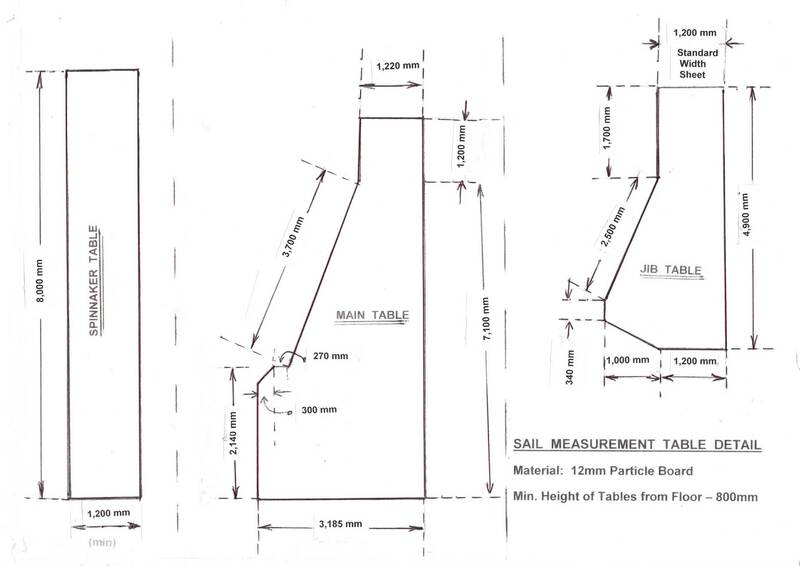 Whoever is charged with stamping sails MUST note on the Competitor Measurement form when they stamp a sail or sails. This is to ensure we don’t end up stamping more than two sets of sails. When not busy stamping sails in the weighing queue or at the sail & rig measurement station, the measurement team should wander the boat park offering to stamp sails or advise and assist competitors. The idea being to keep them from cluttering up the official stations by getting stuff checked or stamped where they are rigging. Knowledgeable competitors should be encouraged to also advise and help the boats around them. Each competitor will need to ensure their mast, boom, poles and foils have a regatta sticker on them. Stickers need to be made available by the Organisers. Each boat will be given 6 only stickers. One for each of the Rig, Boom, 2 poles, centreboard and rudder. Skippers are responsible for fixing the stickers to their equipment. The jury and measurers may randomly check boats for safety equipment throughout the regatta. The measuring team does not need to check these things but should if asked by a competitor. Spot checks and scrutineering will occur during the regatta and if a boat is found not to measure, equipment is not properly stamped or safety equipment is missing they may be disqualified or penalised. See Spot Checking Protocol. Organisers in conjunction with the Chief Measurer and Jury must ensure there is a suitable marshalling point and a workable process in place to carry our spot checking. WE DO NOT REALLY WANT TO PENALISE ANYONE. ADVISING AND HELPING PEOPLE ENSURE THEIR BOAT & EQUIPMENT MEASURES SHOULD BE A SERVICE OFFERED BY THE CLASS AND THE ORGANISING OR MEASURING TEAM.